Is it a boy, is it a girl? 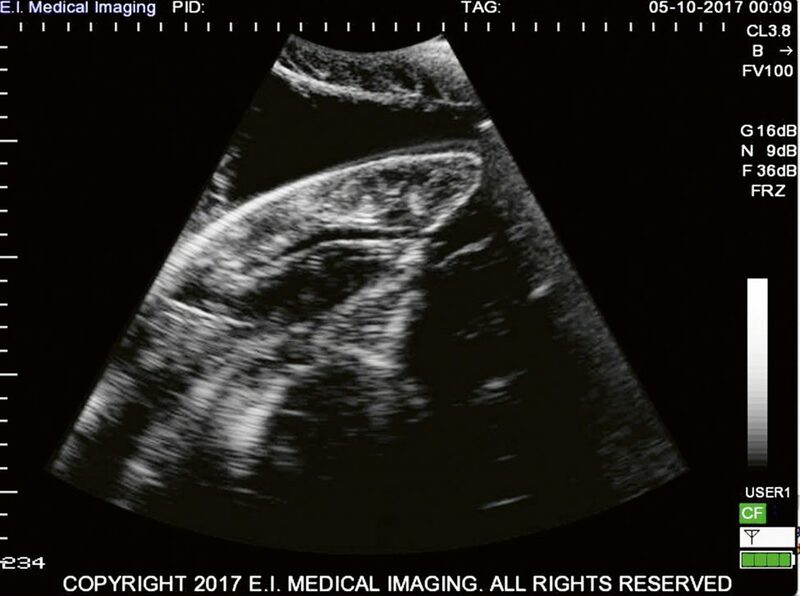 Sharks tend to keep their reproductive secrets close to their belly, which is why giving a tiger shark an ultrasound examination was such an amazing experience for the Shark Lab team. Nursery grounds are important habitat for nearly all species. Locating such areas for wide-ranging animals can be difficult, especially in the marine environment where observing individuals is challenging. Within that environment, elasmobranchs form a group of approximately 1,000 members, which is relatively small compared to the more than 28,000 species of bony fish. Yet small though it may be, this group displays the most diverse means of reproduction: some members lay eggs, others give birth to live young – some even produce offspring by a combination of both. Skates deposit egg cases on the sea floor, sand tiger Carcharias taurus pups consume other embryos within the uterus, and lemon sharks Negaprion brevirostris are born with a placental connection to the mother similar to that of humans. Significantly, though, elasmobranchs produce relatively low numbers of offspring, which can be problematic for conservation efforts. Therefore it is important to understand their reproduction and the role it plays in their daily lives. Advances in technology are providing non-invasive methods for assessing pregnancy; ultrasonography, for example, has been used for decades with humans. Incorporating this technology into shark research enables scientists to learn more about the reproductive attributes of individuals. This new information can be included in movement studies, population assessments and estimates of rebound potential. Since the inception of the Bimini Biological Field Station (also known as Shark Lab) in 1990, our team has periodically encountered large female sharks with distended, rounded bellies. Most have been in the shallow-water long-line survey that we conduct each month, but some we have come across while scuba diving. 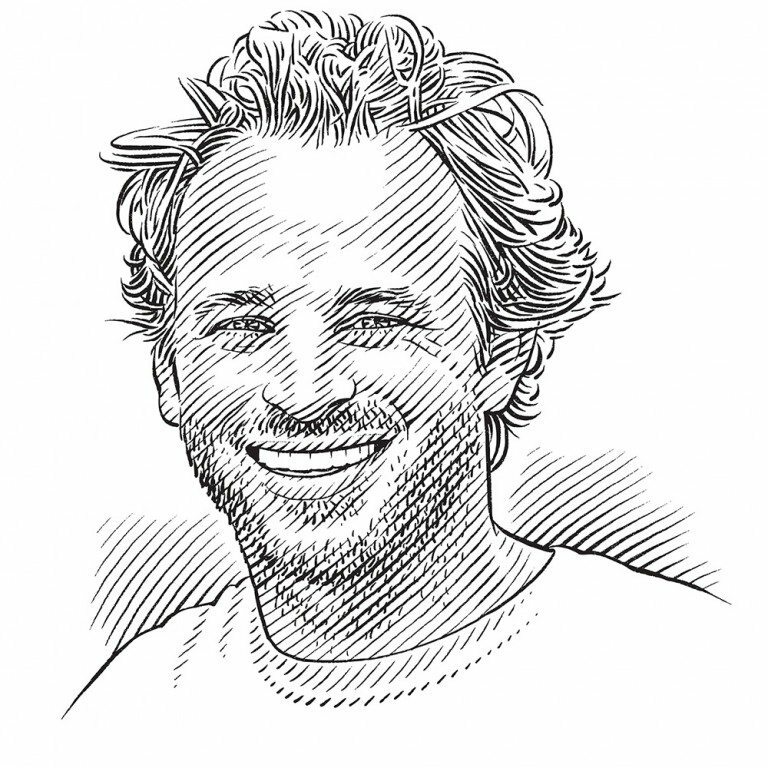 Whenever these exciting moments occur, there’s one question that pops up in everyone’s mind and it quickly turns into a conversation on the boat or back at the lab: ‘Was that big female shark pregnant?’ ‘She must have been,’ comes the reply. ‘She was huge and her belly was prominent, possibly even moving. I’m sure she was shaped differently to a shark that has just fed!’ At least sharks are not offended by our suggestions! Yet although our team was quietly confident that many of the big momma sharks it had encountered in the past were indeed pregnant, we had no way of confirming or proving it. This is, of course, a major problem for scientists, as we typically rely on several lines of evidence to convince colleagues and journals of our findings. By a stroke of good fortune, in 2007 an expert in animal ultrasonography, who was working on a TV series called Into the Womb, visited the Shark Lab and used a field ultrasound to confirm the pregnancy of a huge adult lemon shark. This was a fascinating experience for the team and an important first insight into this developing technology. But it took another decade – in fact, until earlier this year – before we finally got our hands on a unit for daily use in our research. E.I. Medical, a leading manufacturer of ultrasound equipment, generously donated one of its machines for our use. 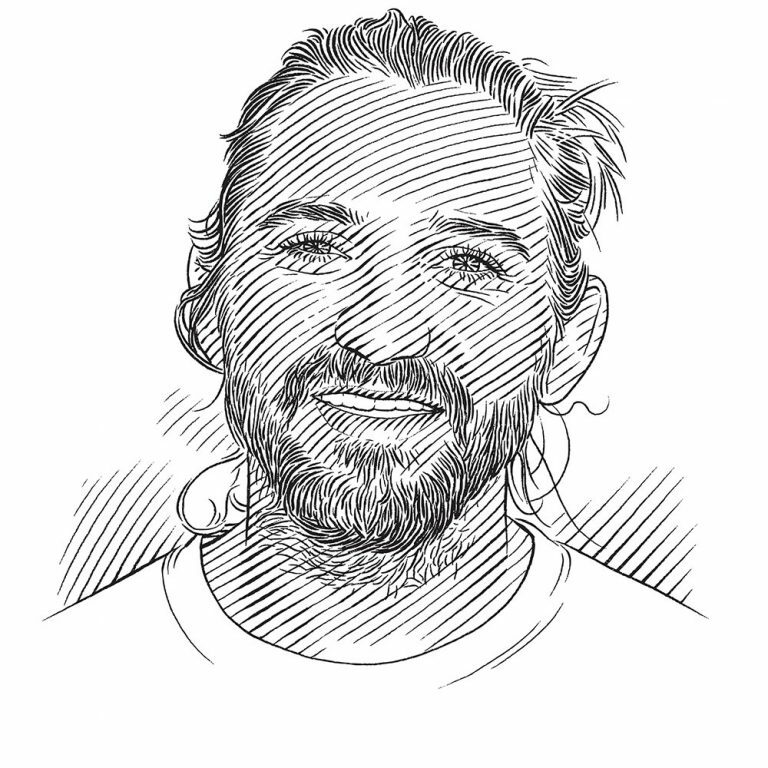 This past year has been a steep learning curve with some exciting moments, one of which is described by the Shark Lab’s director, Dr Tristan Guttridge. From tadpoles to giants: each year our team catches tiger sharks that range from newborns to huge adult females with war wounds aplenty. It is this combination of captures at both ends of the life spectrum that has often made our team wonder whether tiger sharks give birth in the shallow flats that surround Bimini’s islands. Could this habitat be an important nursery area for young pups, or perhaps a feeding ground for gestating mums? Although we’ve often been convinced that we’ve caught a pregnant tiger shark, we’ve never been able to produce the evidence – until one calm, humid dead of night in May this year. The shadow was distinctive, with a broad, thick back and head, and the powerful tugs on the line were characteristically slow, yet purposeful. ‘She’s huge!’ I exclaimed, the nerves setting in. ‘She looks pregnant!’ The moments between knowing that you have a very special animal to work with and making it secure always last an age. But this time, to my surprise, we placed our ropes on her tail and pectoral fins with minimal fuss and finally that moment we had all been waiting for arrived: our team got to ultrasound a huge female tiger shark! My eyes were glued to the portable ultrasound screen while Matt began our pre-determined recordings, starting at the centre of the pectoral fins and slowly moving the probe towards the pelvic fins. He completed five passes, one down the centre and two along either side, giving us an important overview of the shark’s reproductive tract. I desperately wanted to say, ‘Yes, she’s pregnant’, but my untrained eyes and the relatively fast passes made it tricky for me to discern the outline of a tiger pup or see any distinctive structures that would indicate pregnancy. Unlike other viviparous species like blacktip and lemon sharks, in which the pups lie in the same direction as the mother, tiger shark pups lie perpendicular to her in the uterine horns. This means that in theory one of the pups could be facing outward and have its mouth close to the female’s body wall. Having completed the standard passes for later review, Matt focused his attention on finding a pup to obtain a close-up. By carefully moving the probe while keeping an eye on the ultrasound, he managed to locate one opening and closing its mouth – wow! It is almost impossible to describe the team’s feelings at seeing an unborn shark for the first time: there was great elation and delight, and a little relief that our long-time hypothesis had finally been confirmed. There was, however, also a sudden and very real sense of urgency and responsibility that swept across us all. Attached to the side of our 20-foot (six-metre) skiff in the middle of the ocean was a 15-foot (4.5-metre) tiger shark, probably only days away from giving birth to perhaps more than 60 next-generation pups ready to see the outside world. Excitement and emotion aside, the scientist in us came to the rescue and took control. In record time we took measurements (length and girth) and samples (such as blood and fin clip) before finally inserting an acoustic tracking device to monitor her local and broad-scale movements. Within a few minutes she had swum off into the dark to cheers, whoops and applause! It was a truly remarkable experience for our team, but more importantly, our success marked the start of an exciting new journey for us as we learn more about the reproductive secrets of these highly mobile and threatened animals. Samuel, better known as Doc, has been studying sharks for 50 years. He discovered how sharks see and even gave us insights into how they think. He founded the Bimini Biological Field Station in 1990, and has been training and inspiring young shark researchers ever since. Read article Inside Stories Do lemon sharks have personality too?